Early retirement – Joe Lyons offers some do’s and don’ts. As a CERTIFIED FINANCIAL PLANNER™ who has helped many individuals go through the process of retirement and beyond, Joe Lyons often gets asked by clients if he believes that they are ready to retire. Sometimes this could mean early retirement, and that brings with it some added considerations. Do a trial run. Although your expenses may drop when you retire, it is good to see if they have dropped enough to fit your budget. It may be a good idea to set up a retirement budget, and then try to live off that budget for six months. If you can do that, you may be good to go as far as really retiring is concerned. If you need to hit the credit cards or your savings account, you should probably wait and save for a while longer. Don’t withdraw more than you can afford. Once you retire you start taking bits out of your overall savings, so remember that investment losses and early withdrawals are one of the fastest ways, as a retiree, to deplete the value of your portfolio. And that can jeopardize your savings. That’s why if you plan to retire early, you need to save as much as you can before you sail off into the sunset. And until you’re 65, you’ll also have to continue to purchase healthcare, which is a large monthly expense that must be factored in. Besides rising healthcare costs, insurance premiums can also chew through your savings quickly, so it is important to be prepared. “Having adequate health insurance and other insurance coverage including life, disability and long-term care is a factor in whether you can retire early,” says Harrine Freeman, CEO of H.E. Freeman Enterprises in Bethesda, Maryland. Do make sure your children are financially independent. 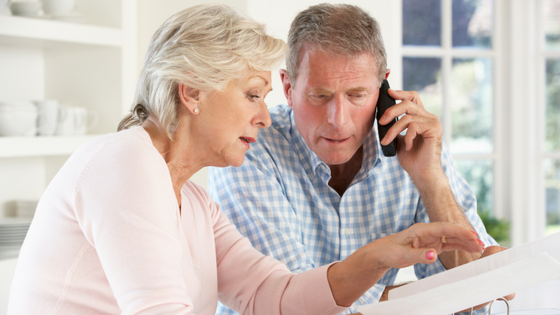 If you are helping your children pay off debt or other bills, this could endanger your retirement savings if it is a situation that is more than a one time or sometime thing. Also if you have a child with special needs, whether they are living at home or not, it is important to take these costs into account. No matter where you are on the road to retirement, you can always get sound financial advice to help you live those years with greater confidence. Visit mooneylyons.com to learn more about investment and savings strategies that can help you pursue your goals. You can also call one of our investment advisors at 1.847.382.2600. We are here to help. Buttell, Amy. 6 signs that you are ready to retire early. Bankrate.com.